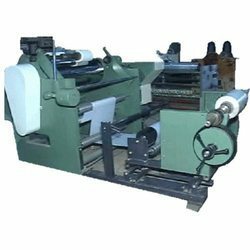 Our range of products include roll to roll slitting & rewinding machine, paper rewinding machine, paper roll slitting machine, foil slitting machine, non woven slitting machine and non woven slitting rewinding machine. 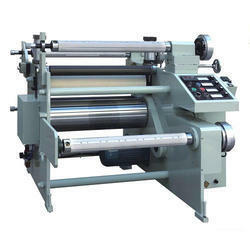 We are pleased to introduce that, we are one of the leading manufacturers of Roll to Roll Slitting & Rewinding Machine,Tape Slitter Machine, Paper Slitting Machine and Slitting Rewinding Machine etc.Mohindra Mechanical Works is Asia largest manufacturers and exporters of Printing and Packaging Machine. 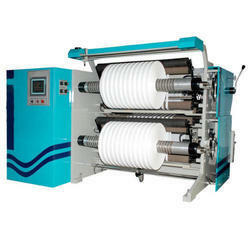 We are one of the leading manufacturers of Paper Rewinder Machine. 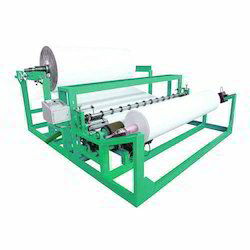 We are one of the leading manufacturers of Paper Roll Slitting Machine. 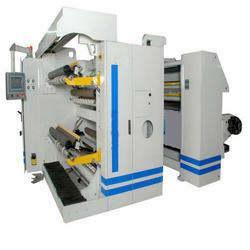 We are one of the leading manufacturers of Foil Slitting Machine. 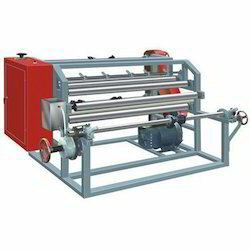 We are one of the leading manufacturers of Non Woven Slitting Machine. 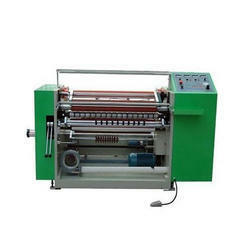 We are one of the leading manufacturers of Non Woven Slitting Rewinding Machine. 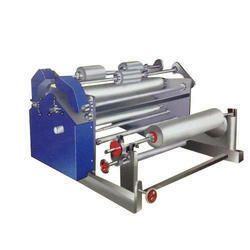 We are one of the leading manufacturers of Roll to Roll Slitter etc. 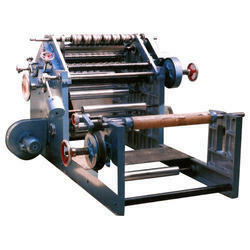 We are one of the leading manufacturers of Slitting and Rewinding Machine. We are one of the leading manufacturers of Slitting and Rewinding Machine for Submersible Wire to our clients. We offer Paper Slitting & Rewinding Machine to our clients. 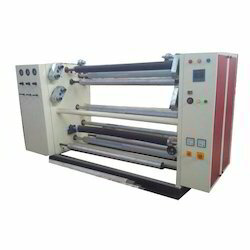 We are one of the leading manufacturers of Slitting Rewinder in the market. 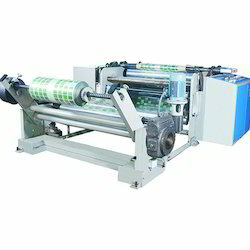 We are one of the leading manufacturers of Roll To Roll Slitting Machines, Paper Slitting Machine, Rewinding Machine,Film Slitting Machine and Foil Slitting Machine etc. Machine Speed Up to 450 mtr/min. We are one of the leading manufacturers of Slitting and Rewinding Machinery to our clients.These are available with high speed duplex slitter and rewinder with floating unwind stand, unwind tension control system, independent pull unit, etc. Developed by our skilled professionals in accordance with international standards, our machines are acknowledged for their rust & corrosion resistance, high durability, low maintenance and longer working life. Speed up to 450 mtr/min. Note: Description and Specifications of the machine are subject to change without prior notice. 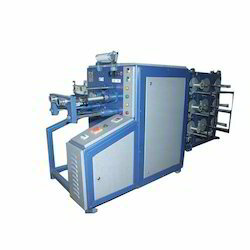 We are pleased to introduce that, we are one of the leading manufacturers of Paper Slitting Machine, Slitting Machine, Slitting Rewinding Machine, Tape Slitter Machine and Foil Slitting Machine etc.Mohindra Mechanical Works is Asia largest manufacturers and exporters of Printing and Packaging Machine. We are pleased to introduce that, we are one of the leading manufacturers of Paper Slitting And Rewinding Machine, Film Slitting Machine, Tape Slitter Machine, Slitting Machine and Foil Slitting Machine etc.Mohindra Mechanical Works is Asia largest manufacturers and exporters of Printing and Packaging Machine. We are pleased to introduce that, we are one of the leading manufacturers of Slitting and Rewinding Machines,Film Slitting Machine,Paper Slitting Machine, Fabric Slitting Machine and Rewinding Machine etc.Mohindra Mechanical Works is Asia largest manufacturers and exporters of Printing and Packaging Machine. 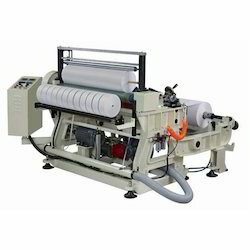 We are pleased to introduce that, we are one of the leading manufacturers of Fabric Slitting Machine,Slitting Machine,Paper Slitting Machine and Slitting Rewinding Machine etc.Mohindra Mechanical Works is Asia largest manufacturers and exporters of Printing and Packaging Machine.Our offered range of slitting machines is accurately designed at our own well-furnished manufacturing unit consist of latest technology and equipment. 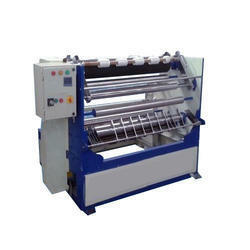 Moreover, we dispatch these slitting machines from our end after examine it properly. Along with that, our reputed customers can get the offered range of slitting machines numerous stipulations at affordable rates. 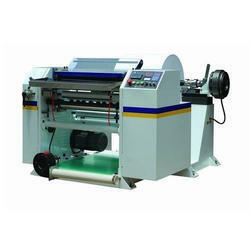 We are pleased to introduce that, we are one of the leading manufacturers of Slitting Machine , Film Slitting Machine, Foil Slitting Machine and Slitting Rewinding Machine etc.Mohindra Mechanical Works is Asia largest manufacturers and exporters of Printing and Packaging Machine.We design these slitting machines as per client want from us. The offered slitting machines are specially manufactured by using top notch components along with latest technology. After examine it properly by our quality department we dispatch it from our side at affordable rates. 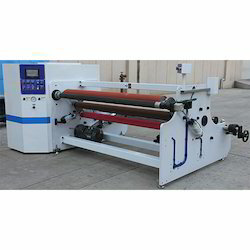 Looking for Paper Slitting Machine ?